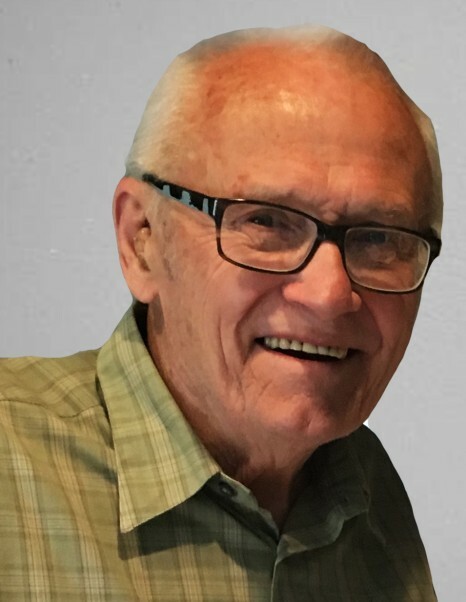 Thomas Franklin Olson, age 87, of Grand Rapids passed away peacefully on Monday, October 22, 2018 at his home surrounded by his family. Tom was born in Grand Rapids, MI on August 19, 1931 the son of Perce and Helen (Donahue) Olson. He graduated from Wyoming Park High School class of 1950 and entered the United States Navy during the Korean War where he proudly served aboard the USS Boxer from 1950-1954. Tom spent the next 37 years as a Master Carpenter and took great pride in building the family home which he lived in until he passed away. He was an avid boater and especially loved boating with his family on Indian River and Lake Michigan. Tom also loved his riding lawn mower and working in the yard around his home any time of the year. He was very involved with friends and family and will be remembered for being a prankster; joking and singing silly songs to anyone he met. Tom married the love of his life, Jeanne T. Byrne, 61 years ago and along with his wife he is survived by his children Parnell (Wendy) Olson and Evan (Vicki) Olson. Tom is adored by his four grandchildren Kiele, Weston, Hailee, and Zach. He will be greatly missed by many nieces, nephews and cousins as well. Tom was preceded in death by his parents, and brother Richard Olson of Walker, MI. The family had a private celebration of Tom's life at the Metcalf and Jonkhoff Funeral Chapel and Interment at Grandville Cemetery. Memories and messages would be welcomed by the family as well in their on-line guestbook at metcalfandjonkhoff.com. Tack så mycket for a wonderful life Tom!